Inveterate doodler Rob Dunlavey has created an alternative universe with his Little People series of Magic Marker drawings. 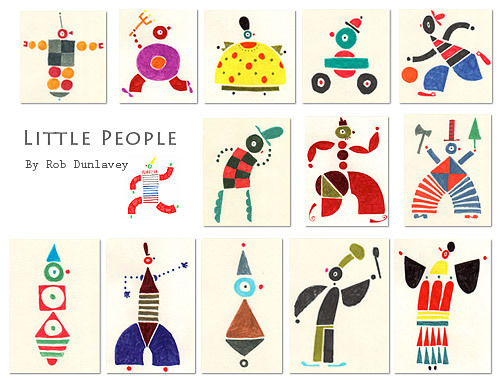 Using geometric shapes, bright colors and most of all a very fertile imagination, these little people charm and entertain. 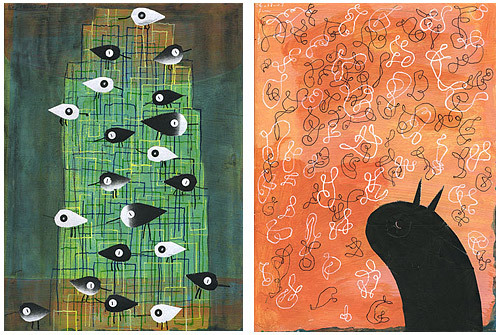 Over the course of a year, more than 200 doodles sprang from Rob's pens while riding a train. Click here to the entire collection. Visit Rob Dunlavey’s Web site at www.robd.com to see his other illustration collections and sketches. If you would like to be on top of what Rob’s is sketching up to date, please be sure to visit his blog.